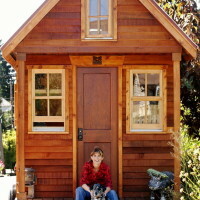 You might have heard of accessory dwelling units (ADUs) by any number of names – backyard cottages, mother-in-law-units, laneway housing, granny flats, or attic and basement apartments. While the idea is familiar to many, ADUs are experiencing a new infusion of interest from cities around the United States as a way to encourage the development of greener, more affordable housing in desirable neighborhoods. Read through this quick overview to learn how and why ADU development is picking up steam today. Q: ADUs have been around for a while – homes across the country have apartments in basements, attics or garages. So what’s new? A: A lot of what’s new is on the regulation side. Many cities and towns are changing zoning and other regulations to make it easier and, in some cases, cheaper to build ADUs. In January of 2017, a law went into effect in the massive California housing market that eliminates red tape so that it’s easier to build ADUs. Austin, Texas made pro-ADU legislative changes in 2015, Minneapolis, Minnesota in 2014, and Denver, Colorado in 2010. As housing prices rise in popular cities around the country, this is the first time that policy and industry are paying close attention to ADUs as a tool to grow our cities and add more housing supply in urban areas that continue to attract new residents. Q: How can ADUs help meet a neighborhood’s needs or support its livability? 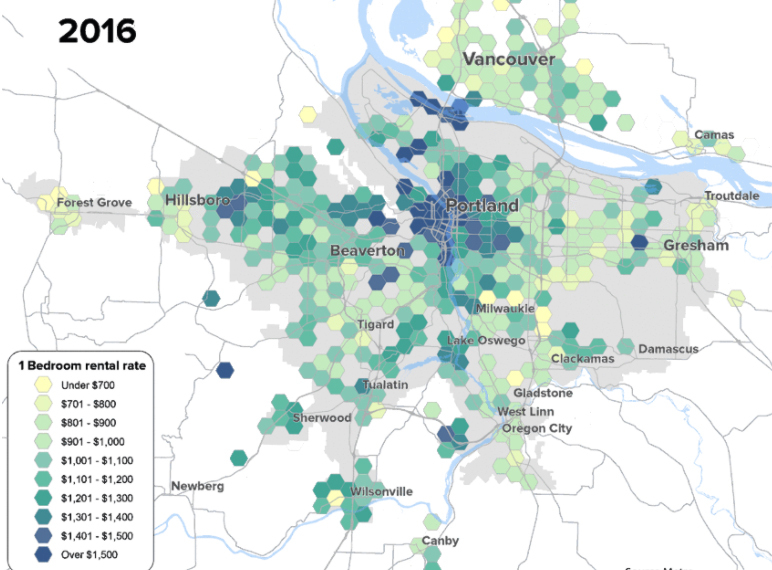 Portland, Oregon – like many cities across the country – is facing a housing shortage. We’re welcoming more and more new residents. Our vacancy rates are low. Rents and home prices are rising. So we have to build more housing. Throughout many cities across the country, traditionally we build “up.” We build apartment buildings, condo towers, and so on. Some cities also build “out,” into the suburbs. But in Portland in particular, the elected regional government Metro has a long history of establishing policies that encourage building up rather than out. Building ADUs is a new way to build “in” – into existing communities and into existing single-family home lots. It’s one efficient way to add housing options to existing neighborhoods without changing their character. That creates density in more walkable neighborhoods with bike and transit infrastructure, and reduces the need to travel by car. Many cities with climate-related greenhouse gas emission reduction targets are attracted to ADU development for that reason as well. Smaller homes also use fewer natural resources and materials to build than conventionally-sized homes, and it takes less energy to heat and cool them – which help reduce greenhouse gas emissions as well. These benefits are not only good for the people who live in ADUs and small homes. They’re good for the community, too, promoting better air quality, less time wasted in traffic, and stable housing, which is linked to good health and education outcomes. Q: How could ADUs help meet the needs of individuals or families? For the individual homeowner or family, ADUs offer flexible spaces that they can rent out to offset their mortgage or help them build wealth. Homeowners could use the space to house loved ones like aging parents or kids returning from college. 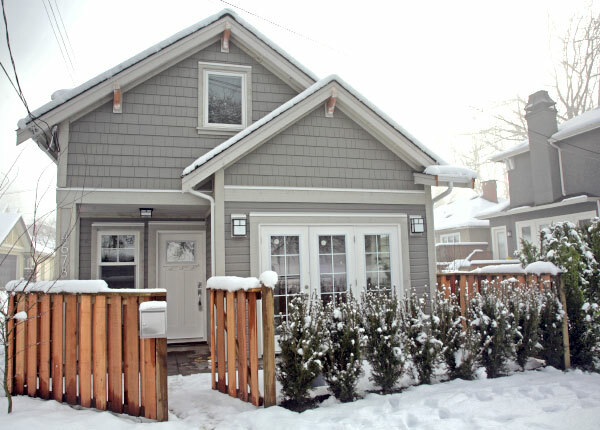 Some homeowners downsize, move into the ADU, and rent out the main house instead. ADUs and small homes help create housing options that meet a wide range of lifestyle needs and can support aging in place and intergenerational living. Q: What role, if any, can ADUs play in helping address issues related to displacement? 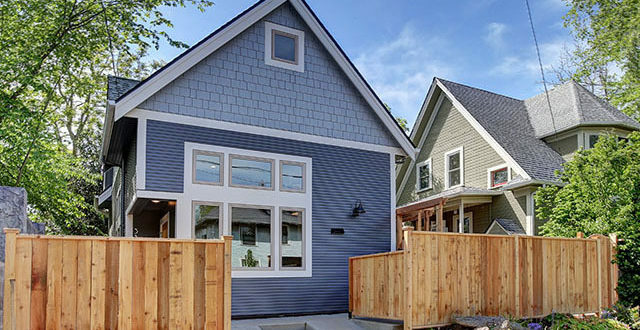 ADUs alone won’t stop displacement, but they can contribute to stable neighborhoods in several ways. 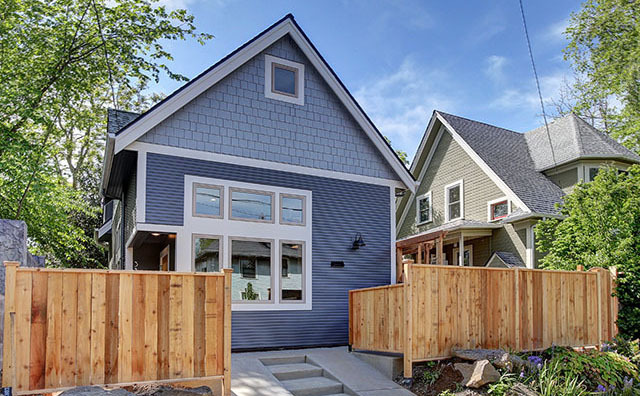 By providing more housing units, ADUs help more renters have access to neighborhoods of their choice, including in single-family residential neighborhoods with limited rental options. ADUs are often rented below market rates to family, friends, or acquaintances of the property owner. Additionally, ADUs can provide homeowners with rental income to offset high mortgage costs, which can help people age in place or weather unexpected financial difficulties. Build Small Live Large 2015. Photo by Love Ablan. Q: How is this year’s Summit different than the 2015 Build Small Live Large Summit? 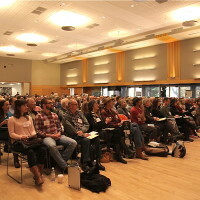 The last Summit in 2015 brought together designers, builders and homeowners interested in the small housing movement to inspire environmentally-friendly and community-oriented development projects. 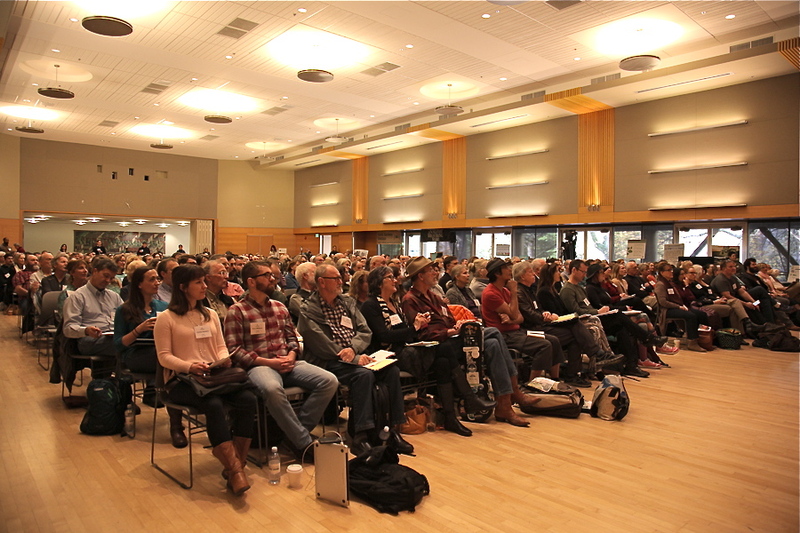 In 2017, the Summit planning committee decided the time was right to convene a national conversation about accessory dwelling units, and bring together the industry and policy professionals who will help the movement catalyze. The leaders in the ADU movement today are spread around the country working with their region’s particular codes and policies. 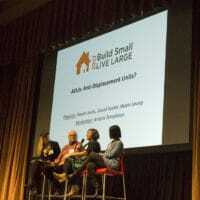 The 2017 Build Small Live Large Summit will be the first place for them to convene, connect and help the movement take flight. Join us for the 2017 Summit! Register Now! KUT: Are Backyard Apartment’s Helping Austin’s Affordability? At my firm, Propel Studio, I’ve been designing a bunch of ADUs around Portland for the past few years and think they are a great way to address affordability, density, sustainability, and provide much-needed housing in our great neighborhoods.